A historical note: Bastet (or formerly Baast, Ubaste, and Baset) was a goddess of Warfare in the Lower Egypt in the period of the second dynasty (2890 BC). The name changed later to Bastet, as we know it today. The deity conceptually evolved from the Lioness goddess – a fierce huntress, warrior and protector (of the Sun God Ra, and “nicknamed” Lady of Flame or the Eye of Ra)- to a cat goddess, after the ferals became domesticated in Egypt, around first millennium BC. Cats were elevated to the rank of God. So what can we say of a Woman and Cat? (Clio: I think I’ve asked for Tuna twice already. Am still waiting…. (Tuli: Who me? Me do nothing, no mischief….Cross my heart.. I love the reflection of this poem and how you were able to weave in some history with it. Cats through out the years have represented something different. The. 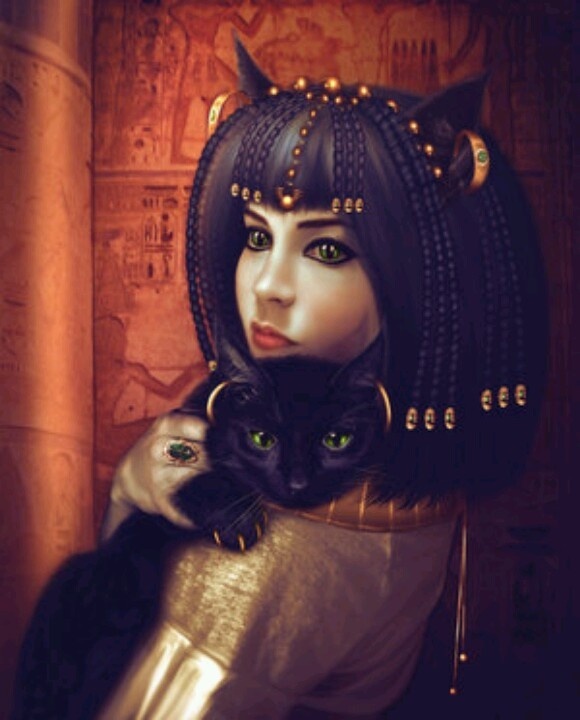 Egyptians got it right in worshipping Bastet … The cats of wisdom and all knowing.